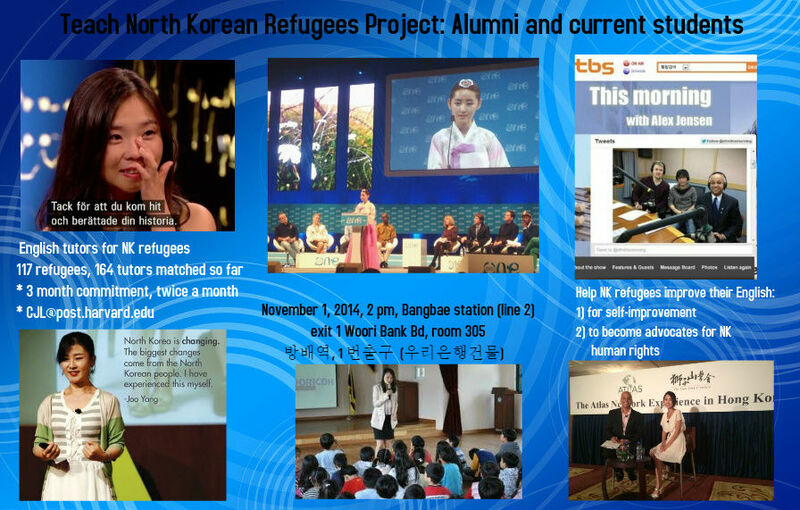 On November 1, we will be holding the 20th “Teach North Korean Refugees Project” session. 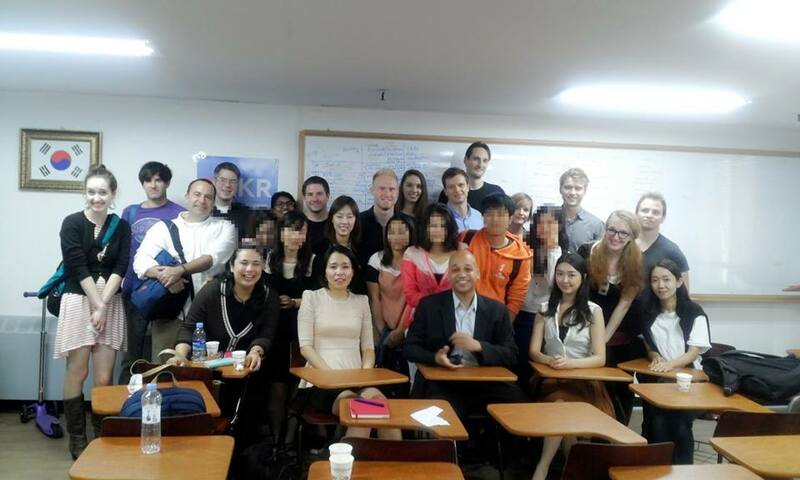 The project launched in March 2013 when Casey Lartigue Jr. and Lee Eunkoo matched 5 North Korean refugees who were teachers in North Korea with 5 English speaking volunteers. 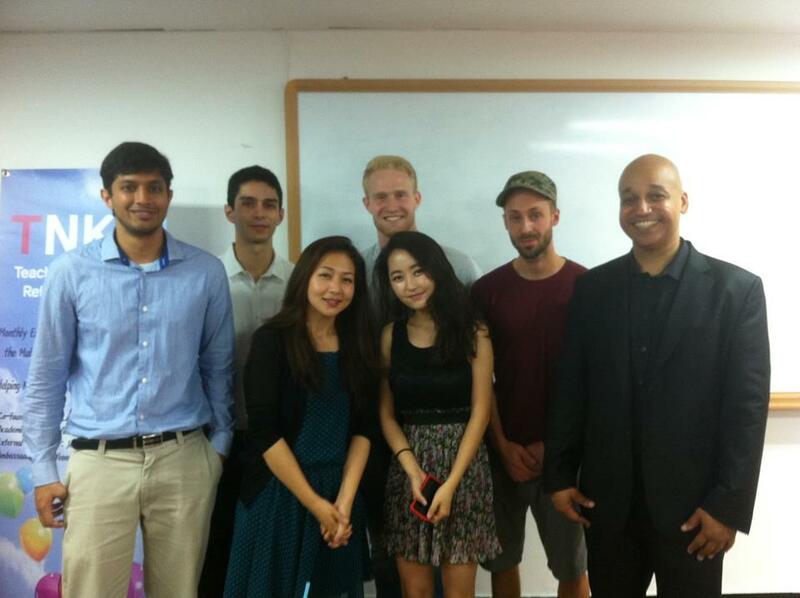 The refugees wanted to improve their English in order to improve their chances to become teachers in South Korea. 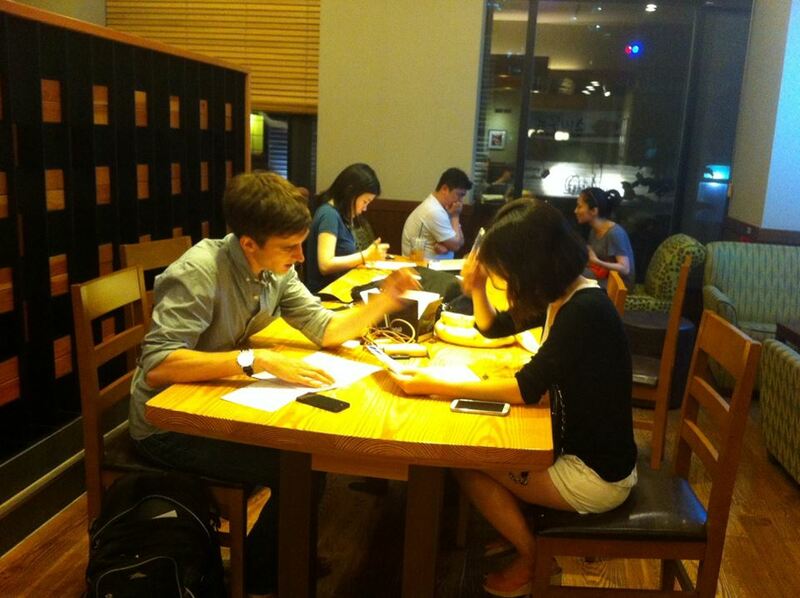 We met at a Toz in Gangnam, matching them. * Bring or recommend a friend (so many refugees recommend there friends, so we have held two sessions focused on them). 1) For self-improvement. 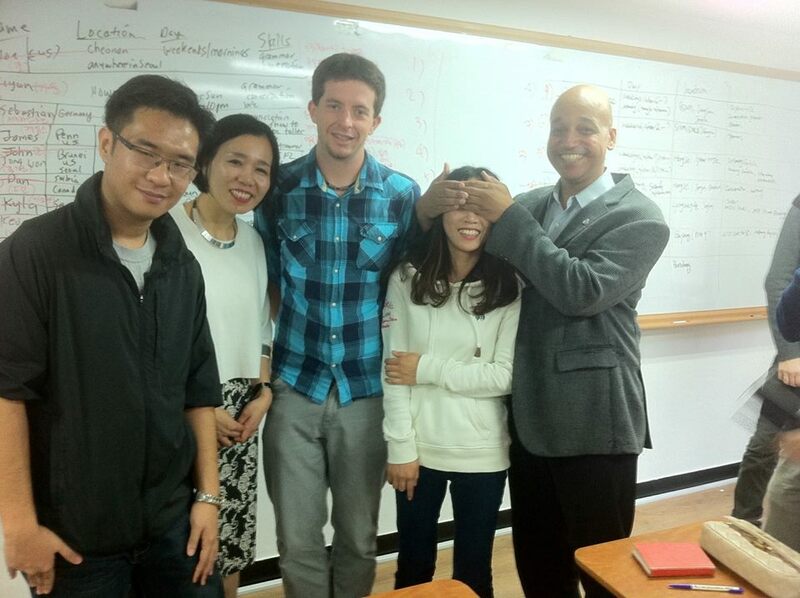 Some want to study for standardized tests, business English, writing, pronunciation, travel. Most of our time is spent on them because they are 90 percent of the refugees who enter our project. Most of them have no desire to become advocates, many are low-profile and just want to improve themselves to make themselves more competitive in this world. 2) to become advocates. We have had a few refugees who also had potential to become advocates for NK human rights. We allow the refugees to take the road that is most comfortable for them, to state their interest in studying so they can be matched with appropriate teachers. It is win-win for both. Some of our volunteers have never met refugees before this, and some go on to volunteer at NGOs, to become advocates, to get involved in other ways. One former tutor is now making a documentary, another has arranged a major speaking opportunity for one of our refugee students. Last week at the Oslo Freedom Forum,there were two North Korean refugee speakers at the Oslo Freedom Forum last week: Hyeonseo Lee and Yeonmi Park! 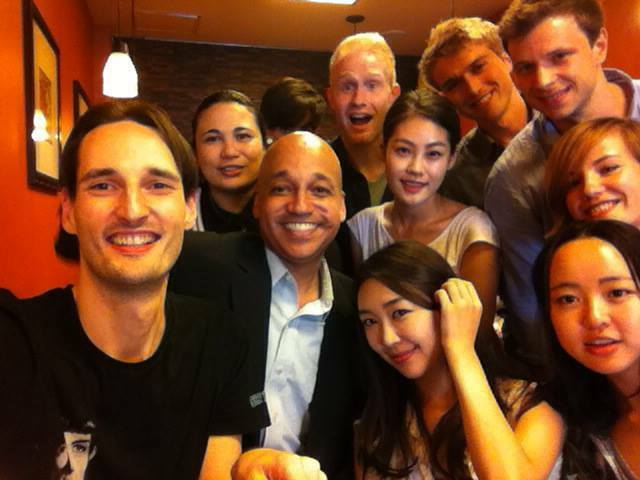 In 2012, I was co-chair of the committee trying to get Hyeonseo Lee onto TED (telling her personal and escape story). And of course I have been teaming up with Yeonmi Park (her personal story with a bit more analysis because that’s what she does). What an honor to have had a role in helping to raise their profiles onto the international stage. Hyeonseo was never a student in our project, but the experience with her did teach me some lessons that I have applied in collaborating with Yeonmi. She spoke on TED in February 2013, we started TNKR a month after that (although that was combined with my experience helping at the Mulmangcho School where I had begun working with volunteers who were eager to teach North Korean refugees). 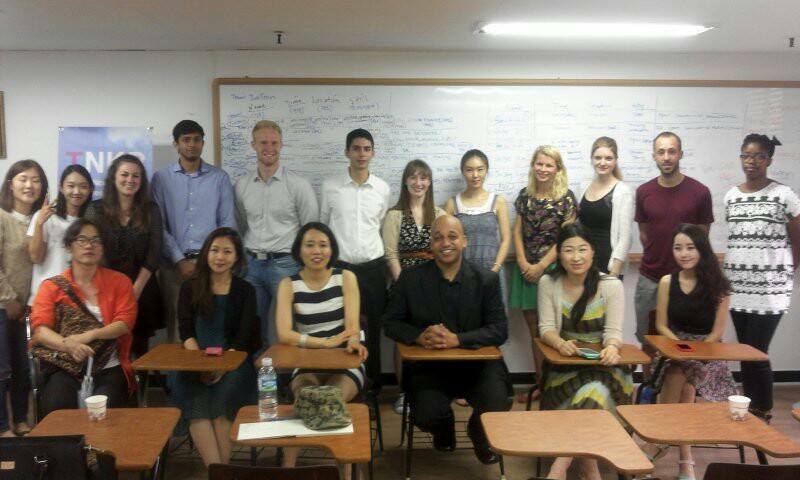 March 2014 matching session. For anyone concerned, we make it clear to the refugees that we don’t require or expect them to be in photos. We encourage them to cover their eyes, to turn to the side, whatever. 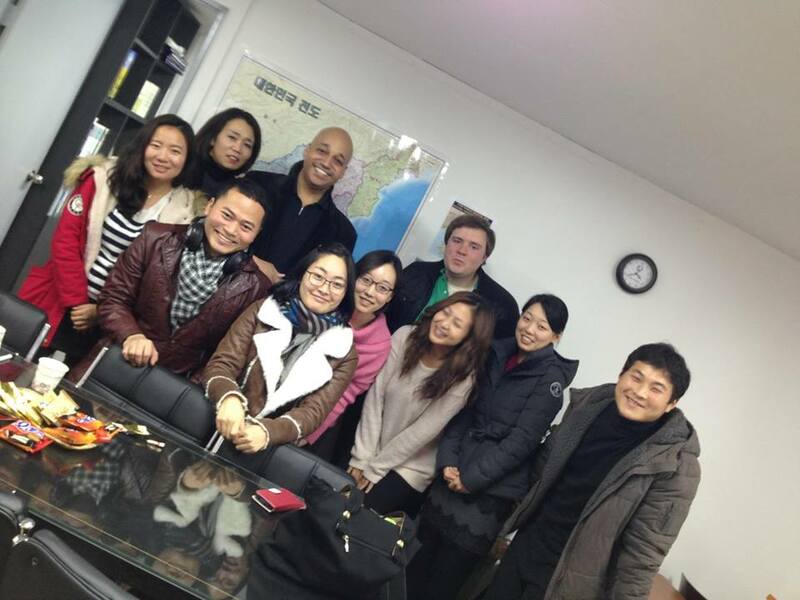 January 2014 TNKR Matching session. That marked the return of Yeonmi Park to the program. 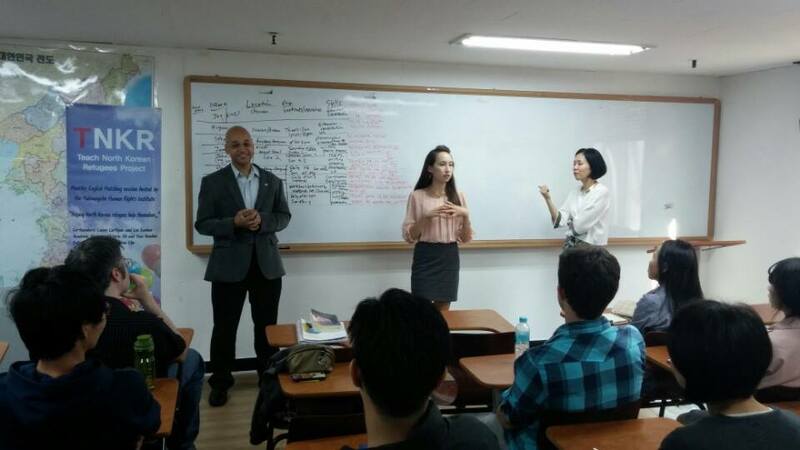 She collected several teachers, a short time later I asked her to become the Ambassador to the project. This was our TNKR management team at our peak, March or April 2014. 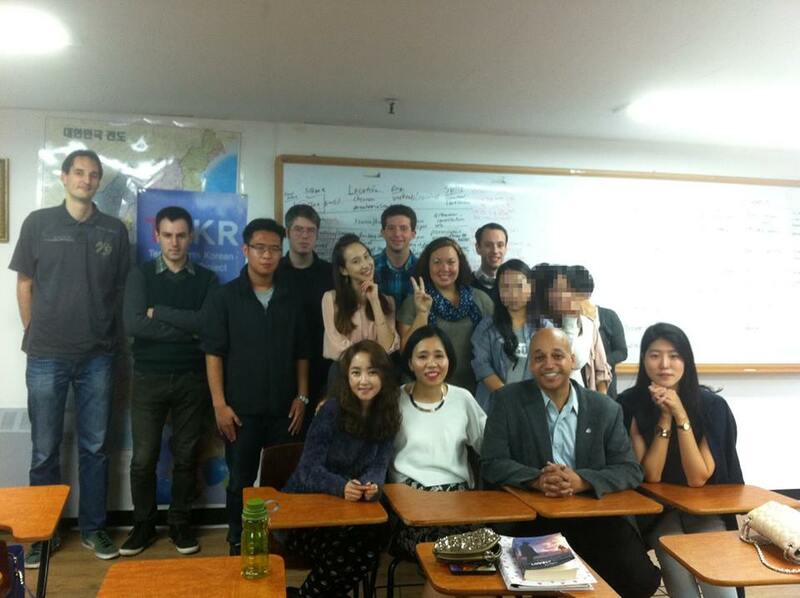 At this session, Yeonmi collected five more teachers, including one who is now doing a documentary about North Korea. I occasionally attend and participate in study sessions. I always learn something interesting about the tutors, refugees and how to make the project better. After the English Matching sessions we typically go to Subway for an early dinner. We occasionally have media come to our events, but this is a feel-good and effective project, so it is more likely that we’ll have a pack of reporters following us if they smell a scandal or problem. One of our newest tutors. We have each tutor introduce him or herself so that the refugees can make better choices. We also require them to send in a resume so the refugees can review them in advance. 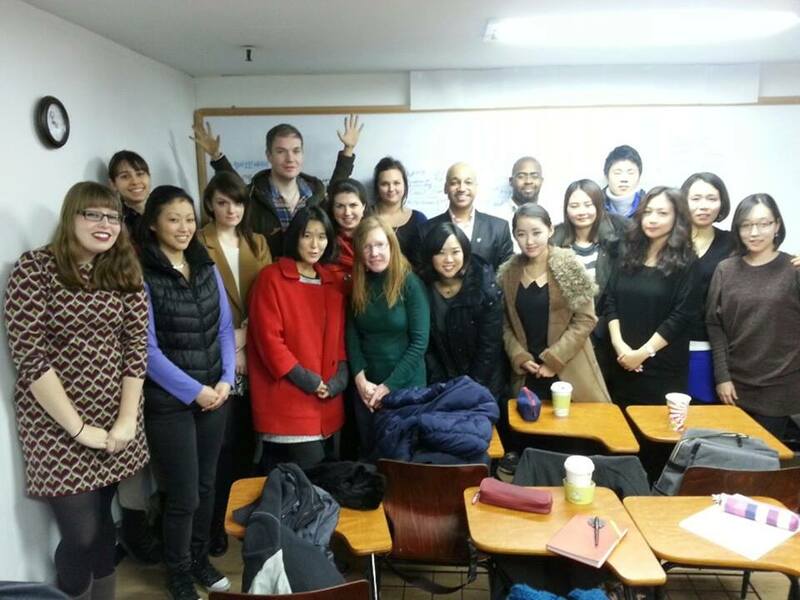 This was our team last year, including the Mulmangcho Human Rights Institute staff. 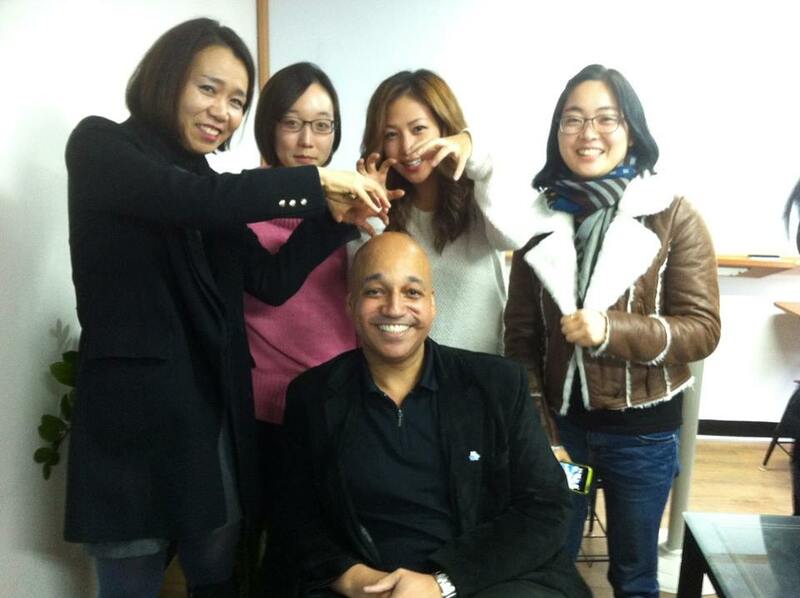 This was our volunteer management team until recently–Yeonmi Park, Casey Lartigue, Lee Eunkoo. Several interesting stories came out of this group, including one who is doing a documentary about NK and another who has arranged a huge speaking opportunity for one of our refugees. This was the only session that was a near failure–3 refugees canceled the morning of the session. 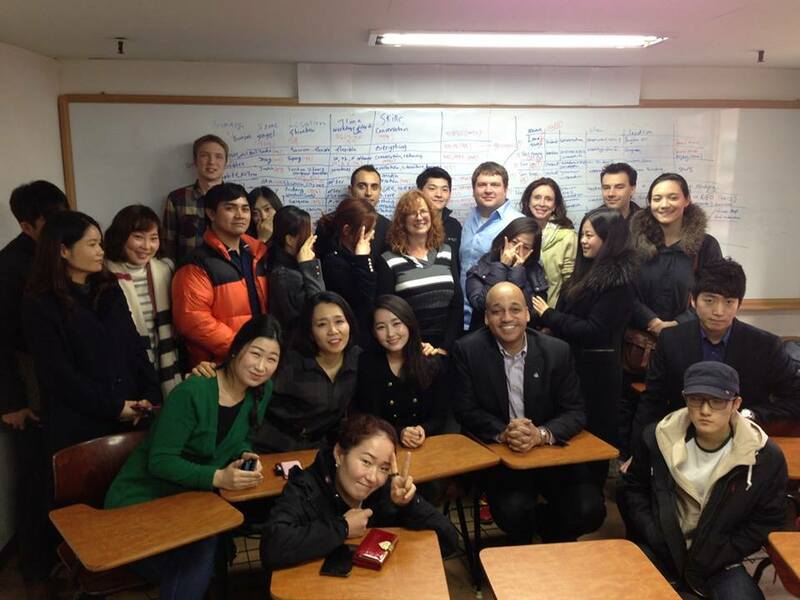 Thankfully our Ambassador, Yeonmi Park, scooped up almost all of the teachers, including two more at Subway after the session. 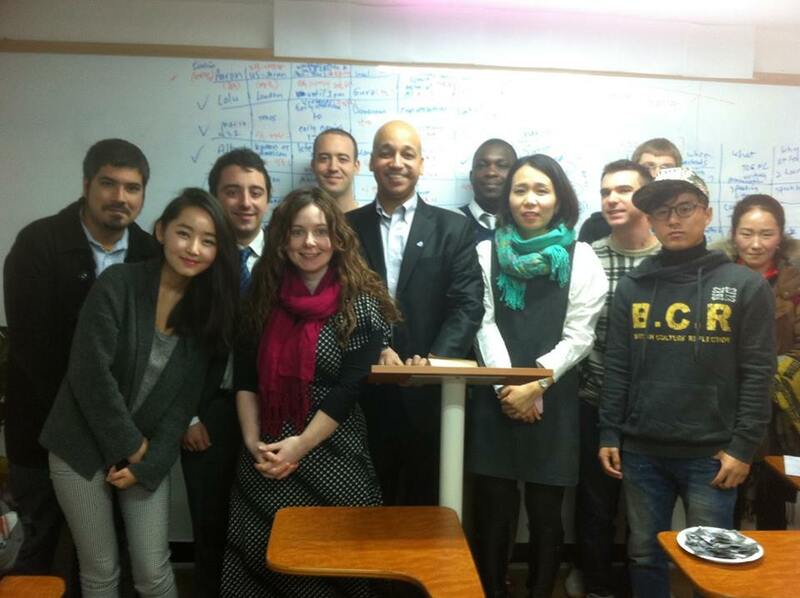 November 2013 “Re-matching” session for refugees who been in the program but for one reason or another had lost their teachers. October 2014, another huge session. I love both the small sessions because we really get to know everyone and the huge sessions because there is so much energy in the room. Told ya so! TNKR Matching session day, registration time! 2015-01-24 TNKR Track 1, "Finding My Own Way."" 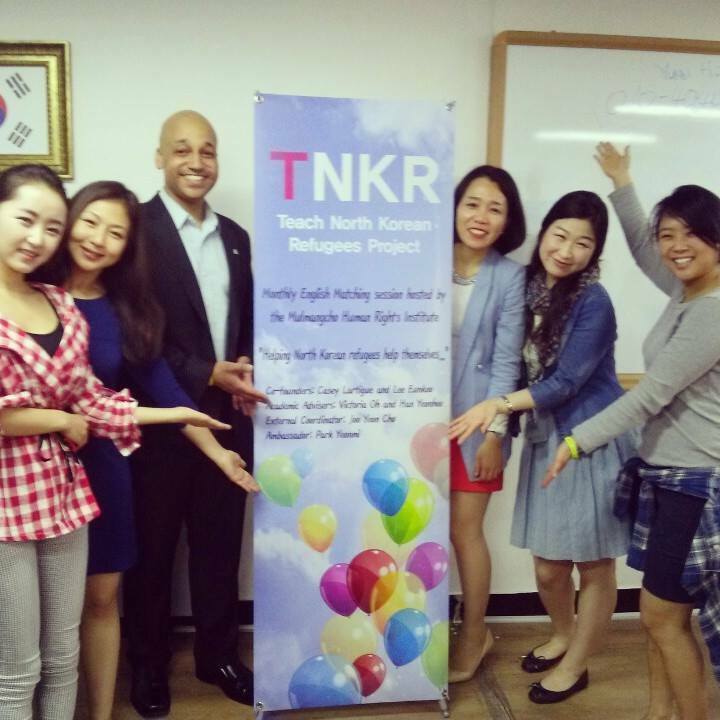 Teach North Korean Refugees (TNKR) is a nonprofit organization that focuses on providing free English learning opportunities to North Korean refugees. For more information, take a look at our About page.